The AGEM Index fell last month to 565.39 points, 7.76 percent less than the month before. 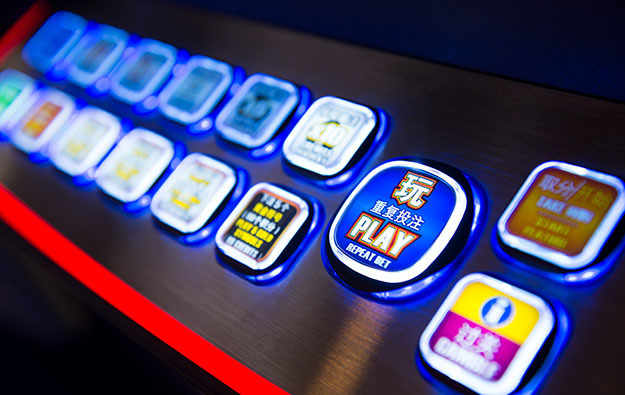 The Association of Gaming Equipment Manufacturers (AGEM) says the index of prices of shares in makers of gaming equipment was 20.81 percent higher than a year earlier, showing an annual gain for the 35th month in a row. Among the stock prices of 13 makers of gaming equipment around the world that the AGEM Index tracks, seven rose last month and six fell. The AGEM produces the monthly AGEM Index, in association with research firm Applied Analysis LLC. Shares in gaming equipment makers that rose notably last month included PlayAGS Inc, which gained 12.22 percent in price and added 2.21 points to the AGEM Index; and Everi Holdings Inc, whose stock price gained 17.96 percent and added 1.73 index points. Shares that fell notably last month included Scientific Games Corp, which lost 36.94 percent in price and removed 16.37 points from the index, and International Game Technology Plc, which lost 16.77 percent and took 11.51 points from the index. The main gauges of stock prices around the world rose last month; the S&P 500 index gaining 3.03 percent to end the month at 2,901.52 points, the Dow Jones Industrial Average gaining 2.16 percent to end at 25,964.82 points and the NASDAQ index gaining 5.71 percent to end at 8,109.54 points. The AGEM Index has seen choppy growth over the past three months, indicating fluctuating prices in the shares of the world’s biggest makers of gaming equipment. In July, the AGEM Index grew by 3.48 percent to finish the month at 565.39 points. June’s AGEM Index reading fell by 1.39 percent to 546.37 points. The AGEM represents the manufacturers of electronic gaming devices, systems, lotteries and components for the gaming industry. The association began compiling data for the index in January 2005 using a base of 100 points. The stocks that constitute the AGEM Index are weighted by approximate market capitalisation.